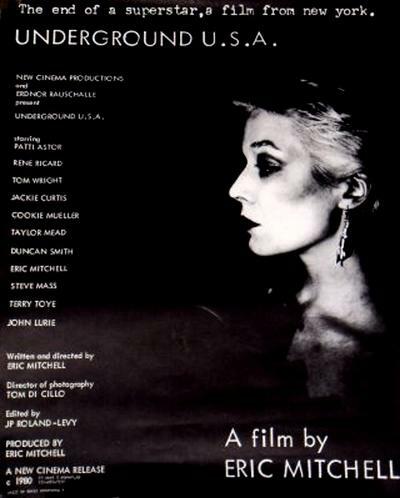 In June 1980, (Eric) Mitchell released a sixteen-millimeter feature that was specifically designed to be shown at midnight and was called Underground U.S.A. More Morrissey than Warhol (with a cameo appearance by Taylor Mead), the film is Sunset Boulevard out of Heat, transposed to no-wave haute monde. 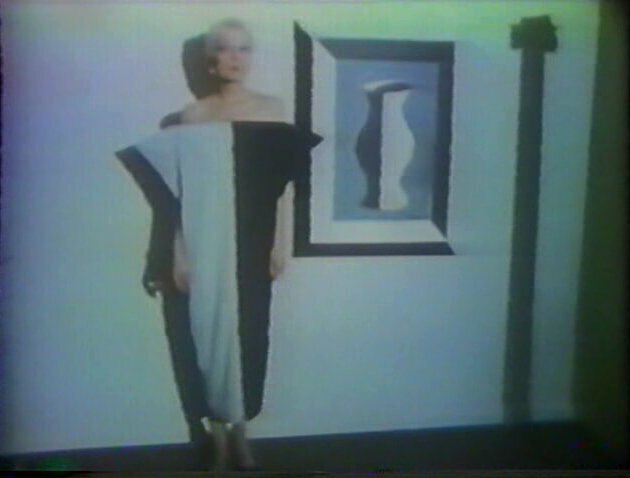 The Gloria Swanson character, here a faded underground underground superstar obviously modeled on Edie Segdwick, is played with convincing self-absorption by platinum-haired Patti Astor, another Poe graduate. Mitchell, whose emotional affect makes Joe Dallesandro seem like a Jack Lemmon hysteric, is the hustler who manages to briefly install himself in her foredoomed life; while, in a witty bit of casting, Factory juvenile René Ricard enacts the von Stroheim-like protector whom Mitchell nudges aside but fails to replace. 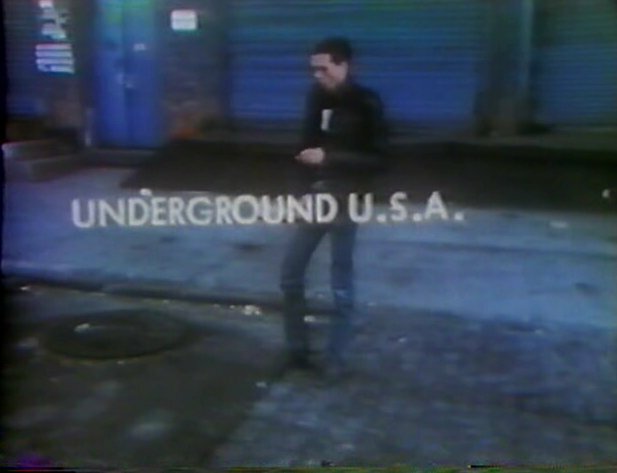 Underground U.S.A. is well acted and handsomely shot, but never redeems the comic potential of its first twenty minutes, inexorably going vague over the punk-underground art-world milieu that it sets out to lampoon. 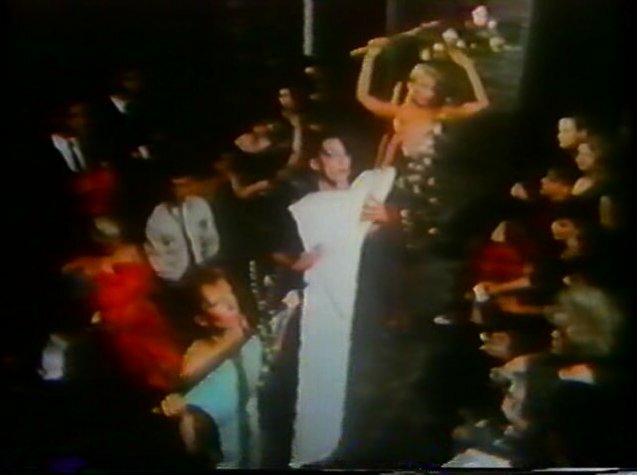 Nevertheless, due in large part to Mitchell’s skill as a self-promoter, the film ran at midnight for twenty weekends at the St. Marks until midnight October 1980.